A vigil is being held in Moosomin Sunday night at 7 pm at the Conexus Convention Centre for the Humboldt Broncos hockey team. The vigil is being organized by the Moosomin Fire Department. Rev. Mel Konkel will lead the service. Members of Moosomin’s fire department, RCMP, EMTs, and members of Moosomin’s minor hockey community will be there. 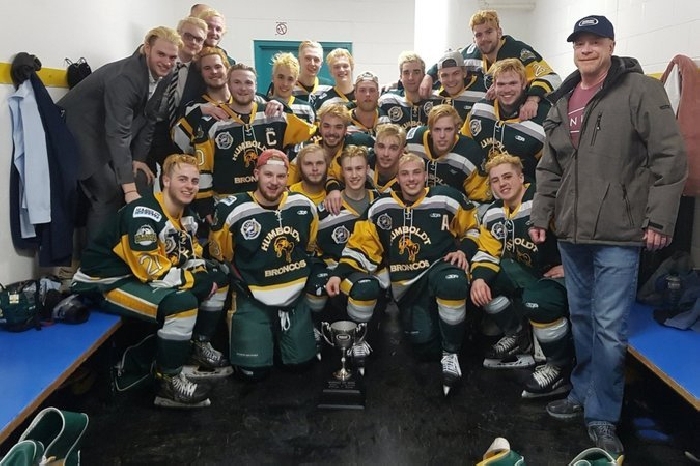 Members of the general public are encouraged to attend to pay their respects and help pray for the members of the Humbolt Broncos, their families and the grieving community of Humboldt.